Lettings Market Review - June18 Lincolnshire - Pygott & Crone - Houses. Homes. Harmony. 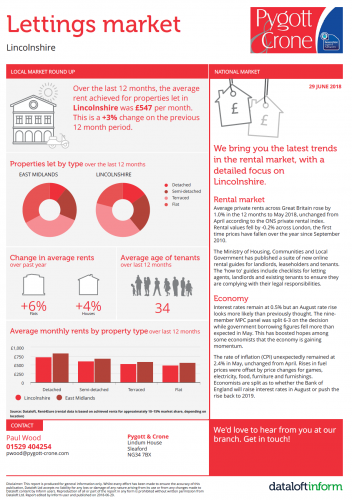 Click on the image / link below to download our PDF version of our latest insights into the letting market in Lincolnshire over the last 12 months.